His power: Lang is in possession of a suit that allows him to shrink down to miniscule size, yet still retain full strength. Conversely, he can also grow to enormous size, but it slows down his reaction time in equally proportionate measure. His story: Scott Lang was a thief for the majority of his adult life. After being released from prison, he struggles to go straight, eventually agreeing to a heist organized by an old friend. 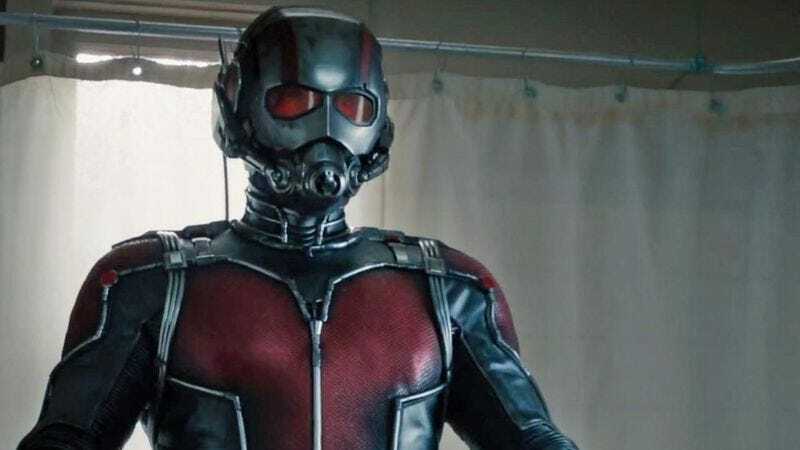 He ends up stealing the Ant-Man suit, but only because its inventor, Hank Pym, had orchestrated the entire thing. He teaches Scott to use the suit in order to break into Pym Technologies, where Pym had been forced out by his former protégé, Darren Cross. Cross was developing a militarized version of the suit called the Yellowjacket and readying to sell it to an agent of Hydra. Scott breaks in, but is caught before he can make off with the suit, resulting in a battle in which Scott kills Cross and barely escapes with his life. He’s next seen joining Captain America’s side during the events of Civil War, and is captured to help Steve Rogers and Bucky Barnes escape. Currently, Ant-Man is: Possibly on the run with Steve Rogers, after Rogers frees him at the end of Civil War. Where will we see him next? Probably Avengers: Infinity War, coming out May 4, 2018, followed by Ant-Man And The Wasp, two months later on July 6.